This masala is really what the name stands for. 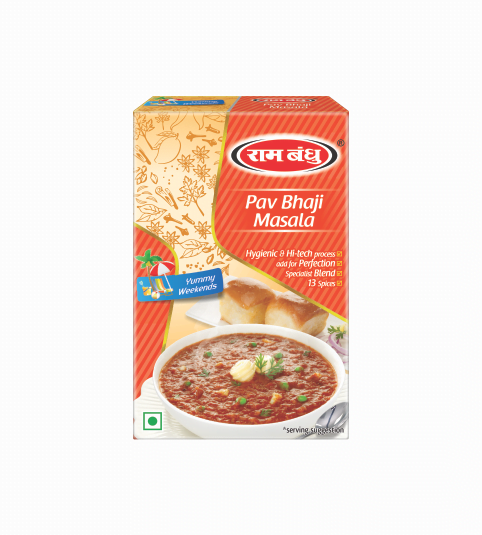 It arouses impeccable taste and aroma in whatever dish it is used in. Make way for the king ! 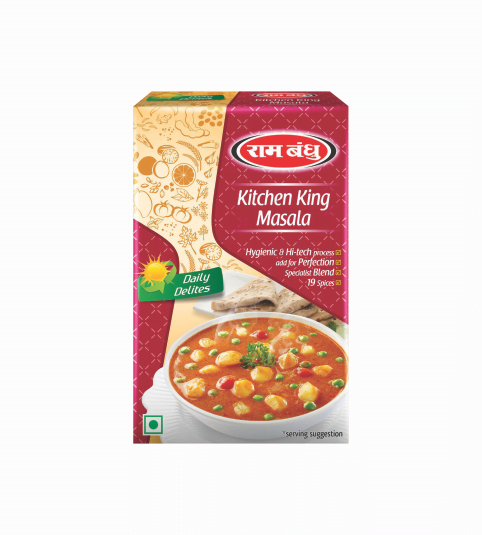 The secret of royal Indian cuisine brought to you in a convenient easy to cook blend. Your paneer preparations will never be the same again ! Ram Bandhu Special Garam Masala is a combination of best ground spices, specially made to enhance the taste and flavour of the various preparations it is used in. Ingredients like cloves, nutmeg, cinnamon and cardamom give exotic aroma and presence of coconut makes for a rich n thick gravy. Delectable ‘homemade street-food’ yes that’s the healthier way to enjoy street food delicacies – Rambandhu style! 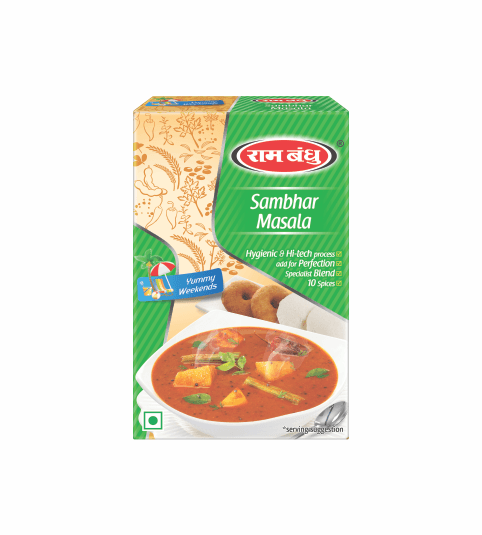 Rambandhu Sambar Masala churns up the perfectly balanced and exquisite taste of sambar each time, every time. 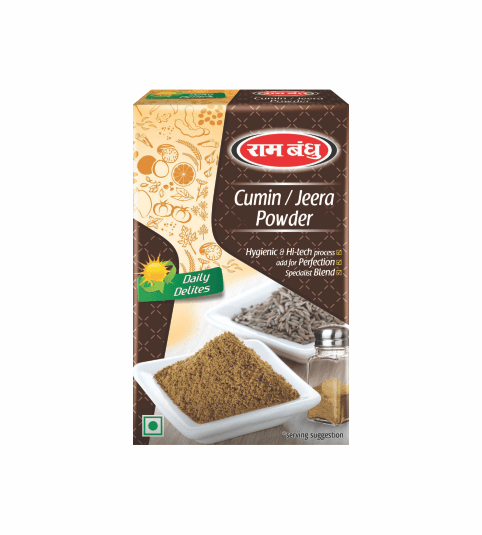 This spice blend is perfectly suited for making lip-smacking meat curry. Nothing but the best goes into the making of Rambandhu’s cumin ie. ‘zeera’ powder. 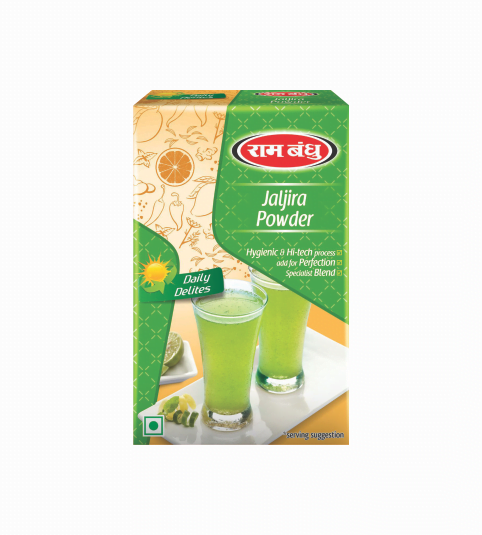 Rambandhu’s Jaljira masala makes for the perfect after-food beverage. It is equally smashing when sprinkled over fruits, salads and with juices. 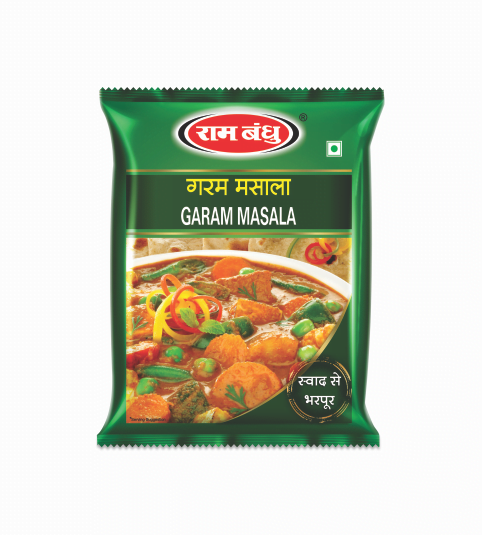 Ram Bandhu Special Garam Masala is a combination of best ground spices, specially made to enhance the taste and flavour of the various preparations it is used in. 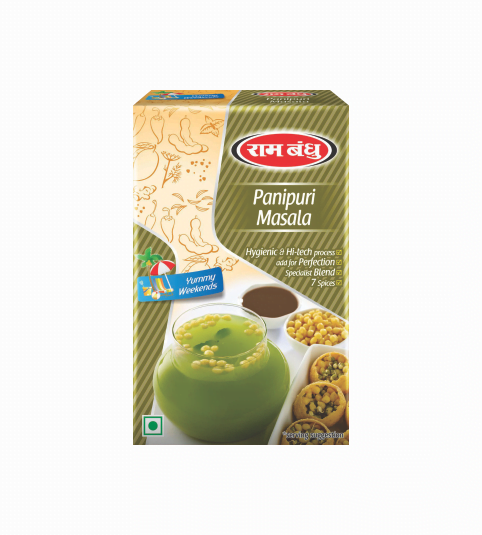 The mass’s favourite panipuri now at the comfort and hygiene of your home … no compromise on the taste though ! Feast like the royalty with overwhelmingly flavourful biriyani made with the finest spices from Rambandhu. 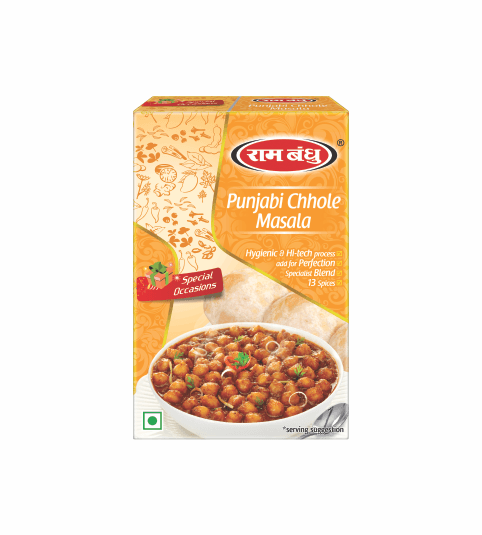 Yummy chhole made in a hassle free manner ? 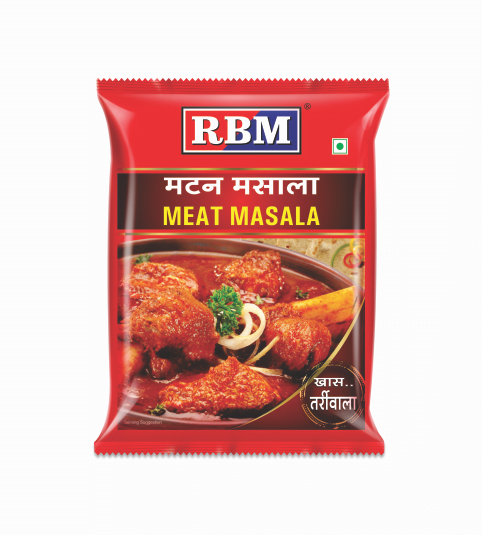 Rambandhu Punjabi Chhole Masala is the answer. Cooking veggies? Use Rambandhu’s Sabji Masala. 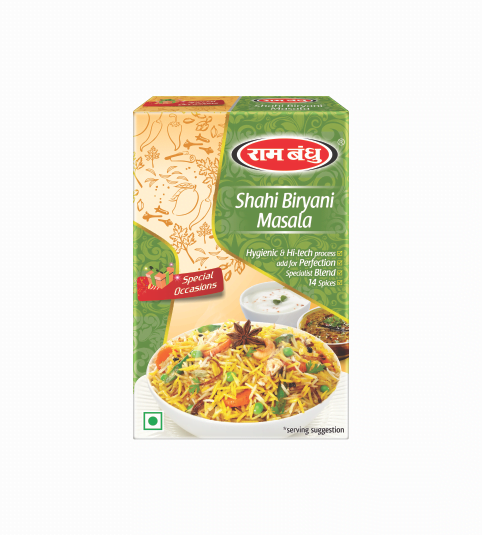 The perfect balance of spices to help you churn up vegetarian dishes like a maestro ! Who doesn’t love Shev Sabji ? Rambandhu’s Shev Sabji masala comes with the perfect blend of spices to lend that unparalleled aroma, flavour and richness which you will simply love! This spice blend is perfectly suited for making lip-smacking chicken curry. 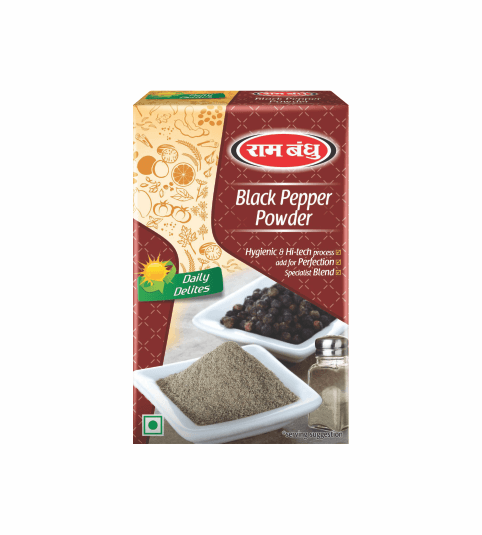 Choicest top quality black pepper sourced from the best pepper growing fields and ground carefully to preserve all natural properties. 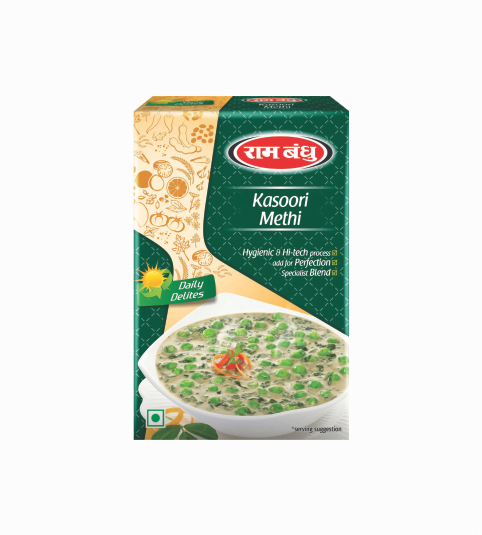 Rambandhu’s Kasoori methi or fenugreek powder can be used with a variety of Indian culinary delicacies. These herbs add that earthy taste making your dish rich and exotic. 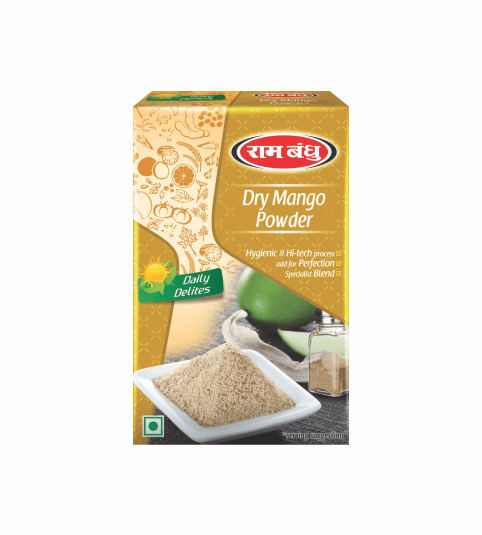 The tangy and spicy taste of finely ground mango powder is sure to set your taste buds tingling !! 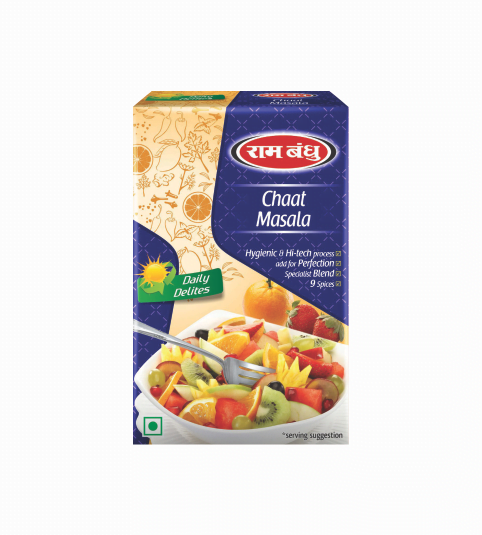 The staple drink takes on a new avataar when you use our tea masala. 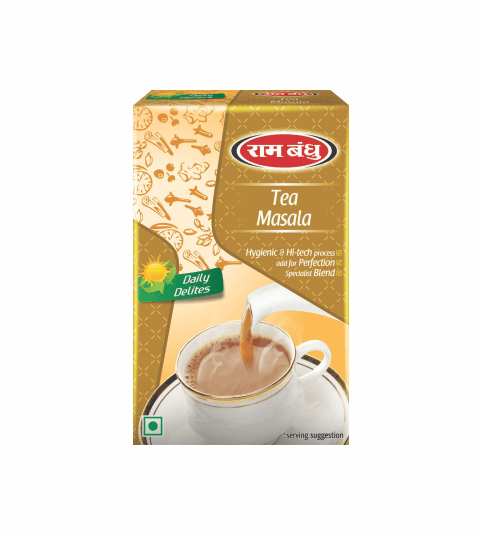 Your tea starts your morning, our tea masala makes it a good morning! !